The KONI Classic line makes modern shock absorber technology available for classic cars and cars from the '40s, '50s and '60s. They have the same superior qualities which the KONI Specials offer to modern cars. 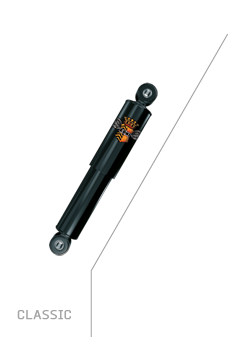 Classic and replacement shocks are finished with the traditional black (Identified as black and "wing" logo).